“I must break you.” The words that Russian boxer Ivan Drago said to Rocky Balboa right before their fierce match in the movie Rocky IV. I bet Shaun Stockwell, wrestling prodigy at Corner Canyon High School, utters those exact same words every time a match is about to start. Exceptional, remarkable, phenomenal are all words you could use when you are talking about Stockwell. However, like all the all time greats, Shaun wasn’t born with natural talent. He was, however, born with the ambition and the passion to do the things that he wanted to do. Shaun is from Ukraine, where he grew up in an orphanage from the age of four until he was 12 years old. During those eight years, Shaun found himself. He found his natural instinct to compete and participate in the thing he loved most – sports. Shaun has “always loved to participate in sports.” Those seeds of passion he planted in Ukraine have started to grow into the epic career Shaun is having here in the United States. Along with his sister Ashley, Shaun was adopted by the Stockwell family in Draper six and a half years ago. It was just three and a half years ago (during Shaun’s freshman year) that he found his love for wrestling. 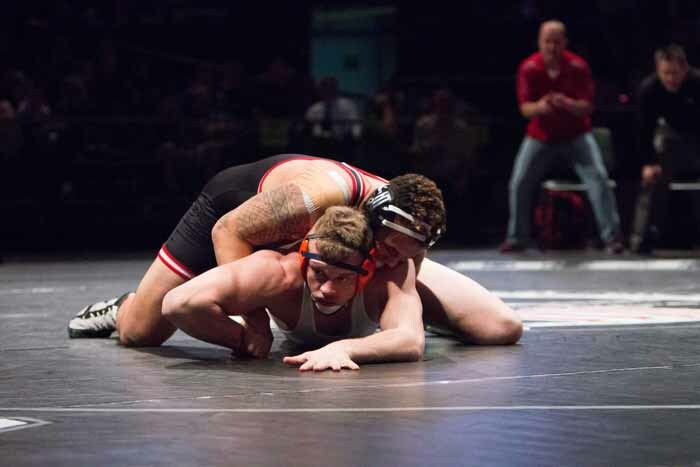 Shaun also plays football, but his true passion is found on the wrestling mat. He has become one of the most respected and most feared opponents on the mat. You see his dedication with the fact that he has made it to the finals in every tournament in which he has participated. He entered the state tournament last week as the No. 1 wrestler in the state for his weight class and won the title at 285 pounds. Shaun’s story is one of true inspiration. 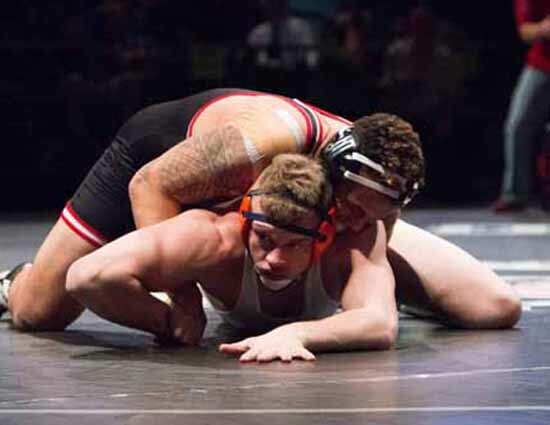 He came from an orphanage to being the best wrestler in the state. However, being the best wrestler in the state also brings along a lot of expectations, and those expectations bring stress. For Shaun, the stress of staying at No. 1 is the hardest thing that has come into his path. That stress doesn’t hinder him, it only gives him “an opportunity and a challenge” that fuels his drive so he can be the best he can be. Perhaps the best thing about Shaun is his ability to “put his mind to anything, and usually achieve anything.” If you get to know Shaun you will find out that he is a man full of perseverance and humility. He might be fierce on the mat, but off it, he is one of the best guys you will ever know. Corner Canyon High student Will Lambert wrote this story as part of the Preps Utah student journalism program, powered by Bank of American Fork, which will award two of our published student journalists college scholarships at the end of the school year.